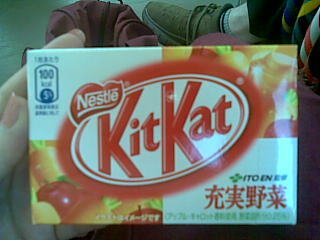 Orange tinged white chocolate that tasted exactly like a veggie juice box. But that is no suprise as it is a collaboration with ITO EN who just happen to make veggie juice boxes. Overall not too bad but nothing special.